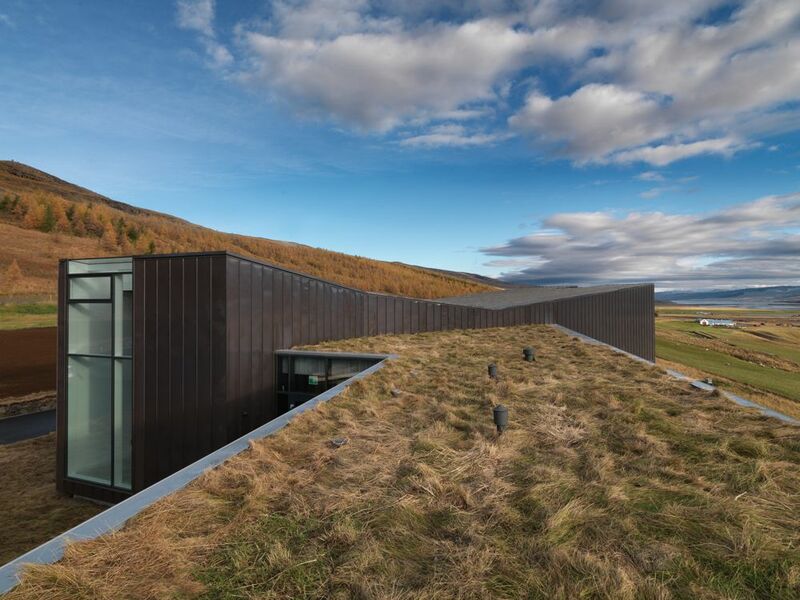 Snæfellsstofa Visitor Center communicates the dignity of the surrounding nature and is closely connected to its immediate surroundings. It attracts visitors to its unique appearance and simultaneously works as an attractor for indoor and outdoor activities. 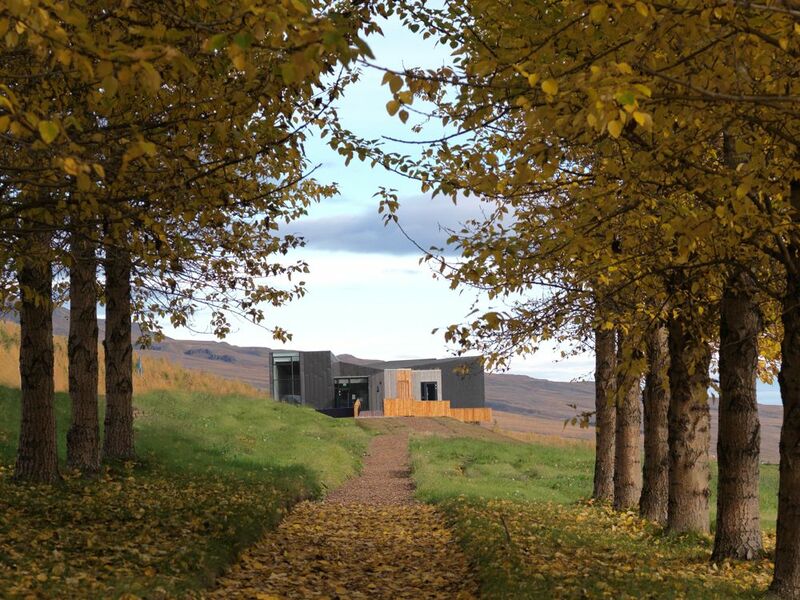 The building is divided into three parts so that it can be utilized in different ways, depending on the season. 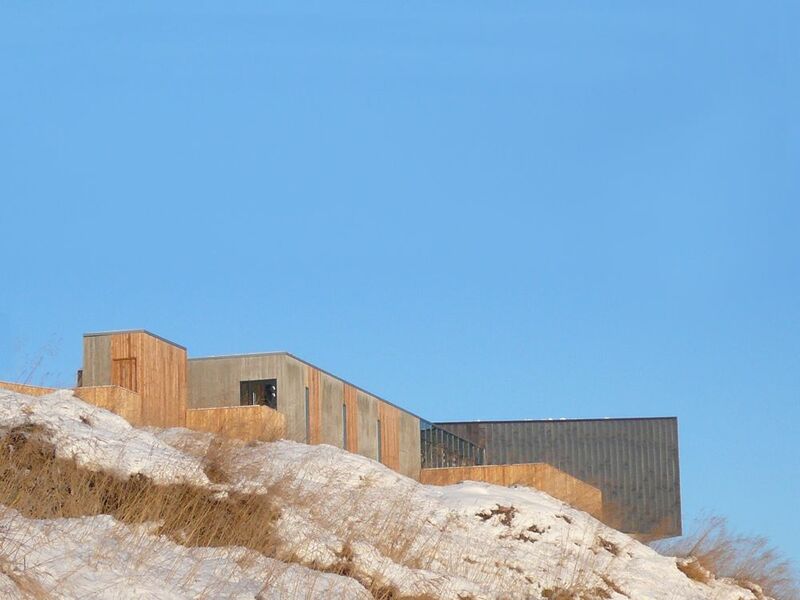 The visitor center is placed on the site at the location of a pronounced change in elevation, so that the building gently glides over the terrain. 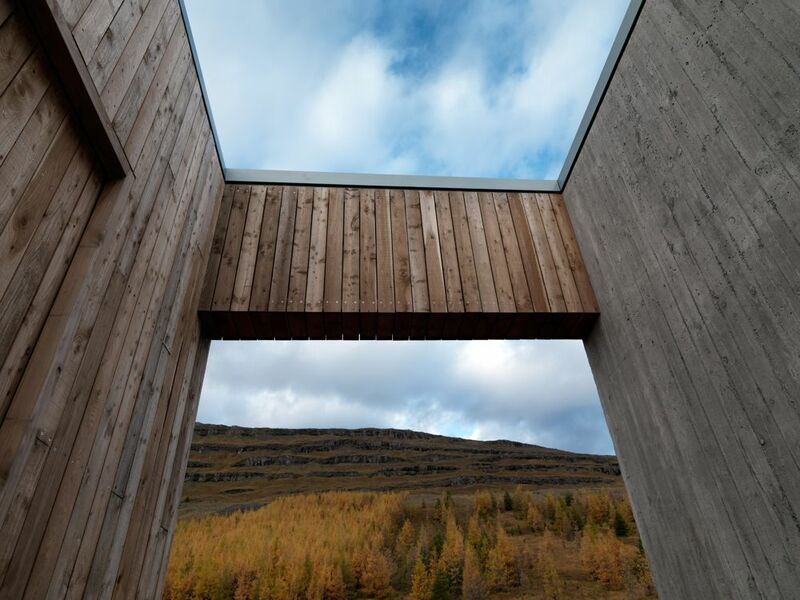 The location is selected to ensure shelter from winds, ample daylight and mountain views. 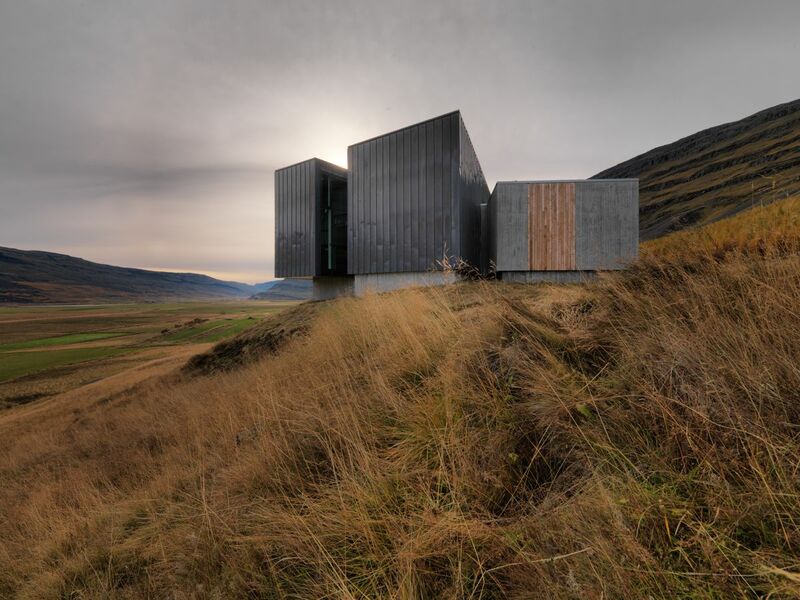 The building form is inspired by the eternal creative force of the glacier; how it breaks its way through terrains or retreats and carves new, ever changing natural wonders into the landscape. 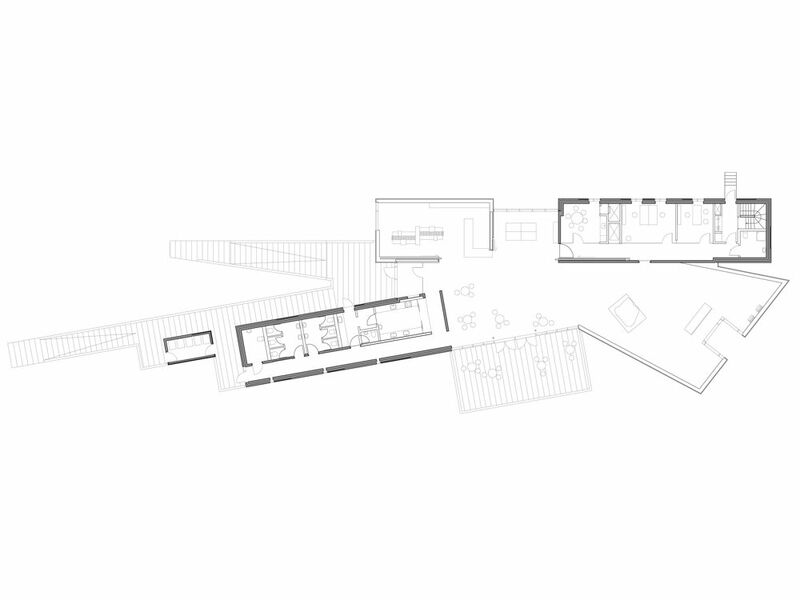 These creations provide models for the spaces and forms found in the building. Material palettes are largely composed of local materials. Local larch, turf roof and landscaping walls of local rock. The nearby forest will become apparent in the building’s texture. 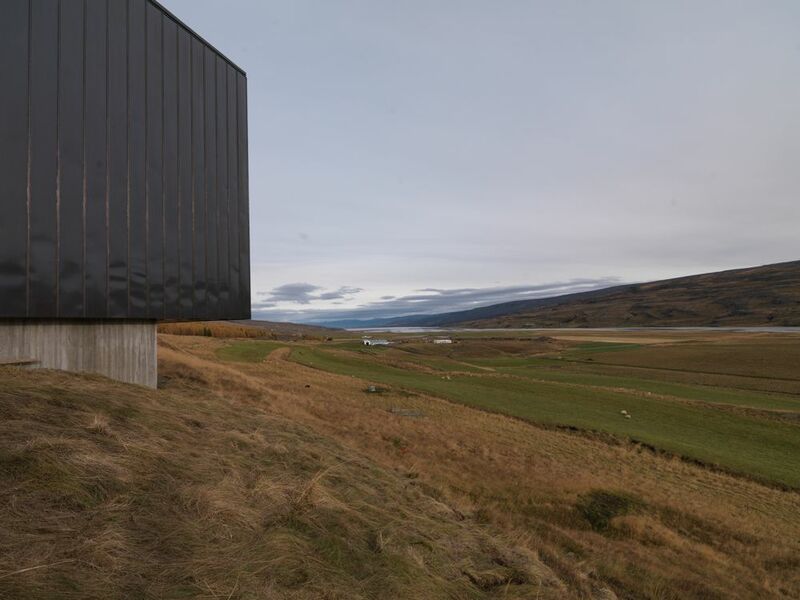 In addition, horizontal and gently tilted tertier lava layers are reflected in the building with pronounced angles and the deep valley is reflected in its appearance, especially in colors. In plan, the building is X shaped. 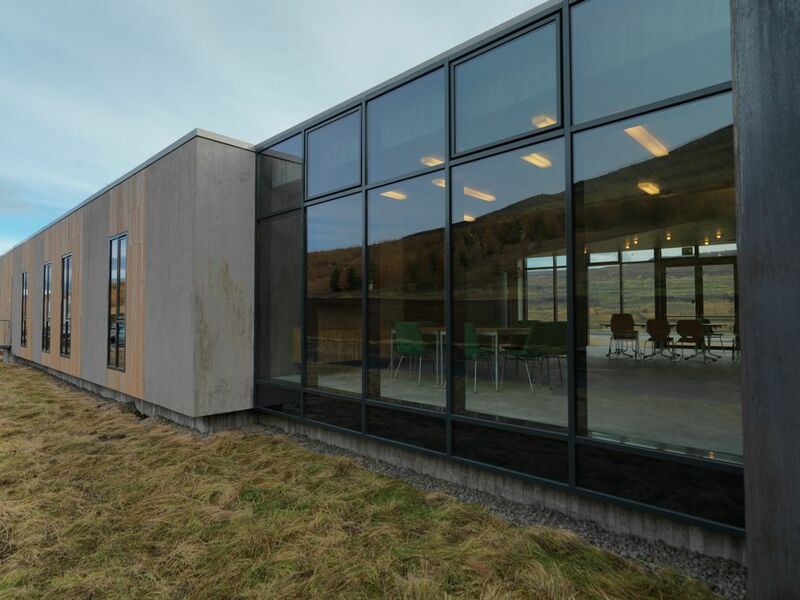 The building’s main axis, the exhibitions- and education axis rises up to both sides and creates a framework for an exhibition space and a library. The exhibition- and education axis rises up from the Rock Foundation as a living and ever changing glacier. The Rock Foundation or the service axis crosses the exhibition axis and houses a café and restrooms in addition to staff facilities. Through the two axes lies the information path, ending in an outdoor amphitheater. 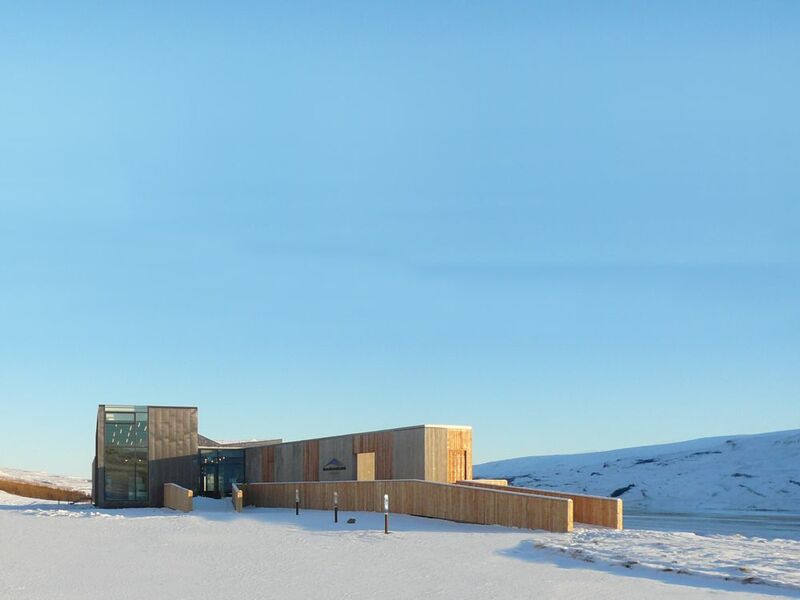 Visitors are intended to walk up to the building, much like climbers progressing onto the glacier. Thereby, visitors effectively experience the glacier’s grandeur. 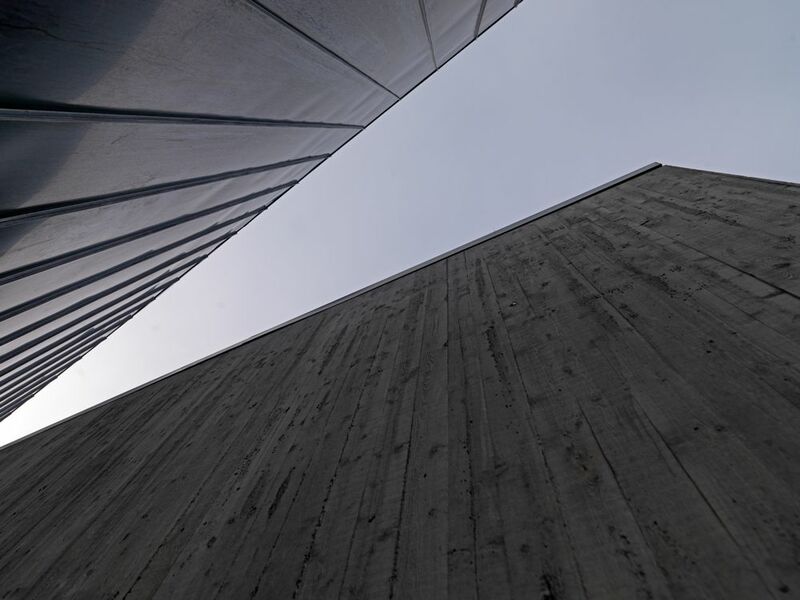 The building stands alone and automobiles and other vehicles are kept to the side and their visual impact reduced by screening them off with vegetation and landscaping walls. Facilities are provided for visitors to enjoy the site’s exterior spaces. Pedestrian paths, ramps and decks are built from local wood and their forms steer the approach of visitors up to the building. Staff facilities such as workshop, garage and technical rooms are located so that they are not visible from the approach. Material palettes are clear and simple. Staff- and service spaces are the foundation for the operations. The “Rock Foundation” is a cast in place concrete structure with wood board texture both inside and out, with insulation in between the concrete layers. 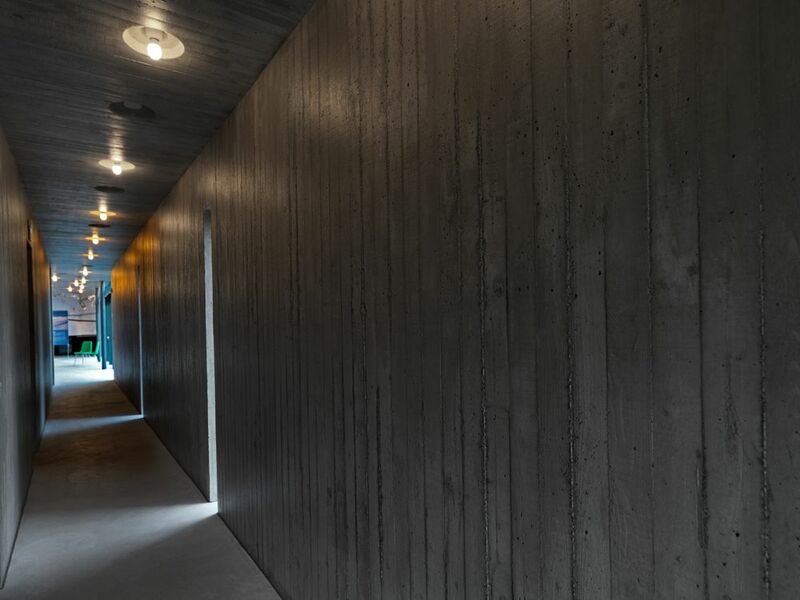 In addition, larch paneling is intertwined into the concrete walls both inside and out. The exhibition- and education axis, “the Ice Stream”, is constructed of wood. For that reason, that part of the building will make creaking noises depending on the weather, much like a glacier. 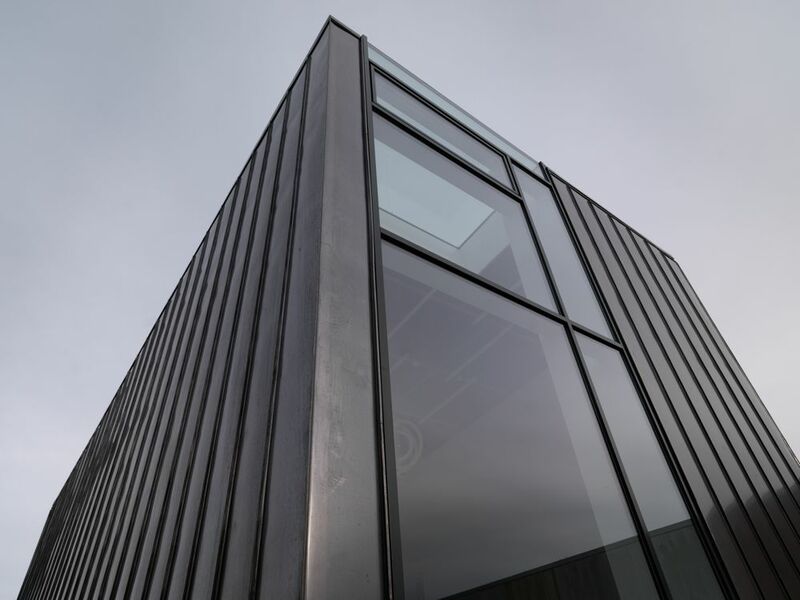 The axis is clad in locked dark-brown copper on the exterior, but with wood on the inside. Crossing the two axes is the information path, connecting the axes together.